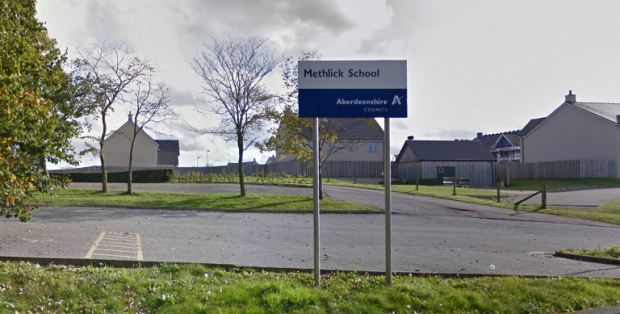 Methlick Primary School's heating stopped after the fuel tank was found to be empty, prompting a police inquiry. Council bosses are investigating why a school was shut for a day because it had no heating oil – after police found no evidence it had been stolen. The janitor of Methlick Primary School raised the alarm on January 10 when the heating suddenly stopped working and he found the tank that feeds the system completely empty. Deepu Abrahams said at the time that he wasn’t sure how much fuel had been in the tank as he only visits the school once a week, but was convinced someone had stolen it during the Christmas holidays. Pupils had to be sent home from the school but returned the following day after an emergency oil delivery. After conducting inquiries however, police have concluded that “no crime was committed”. Heating engineers inspected the tank and decided that no oil could have been extracted from the unit. Last night an Aberdeenshire Council spokesman said: “We acted upon information which suggested oil had been stolen from the heating system. This information was incorrect and the oil was not stolen.